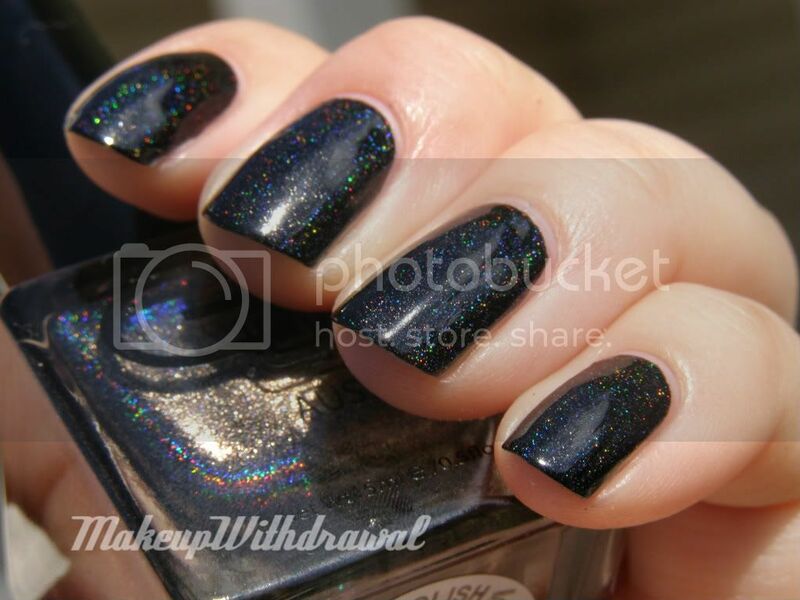 Today's Glitter Gal polish is a black holographic called Brain Freeze. I'm pretty disappointed with this one. 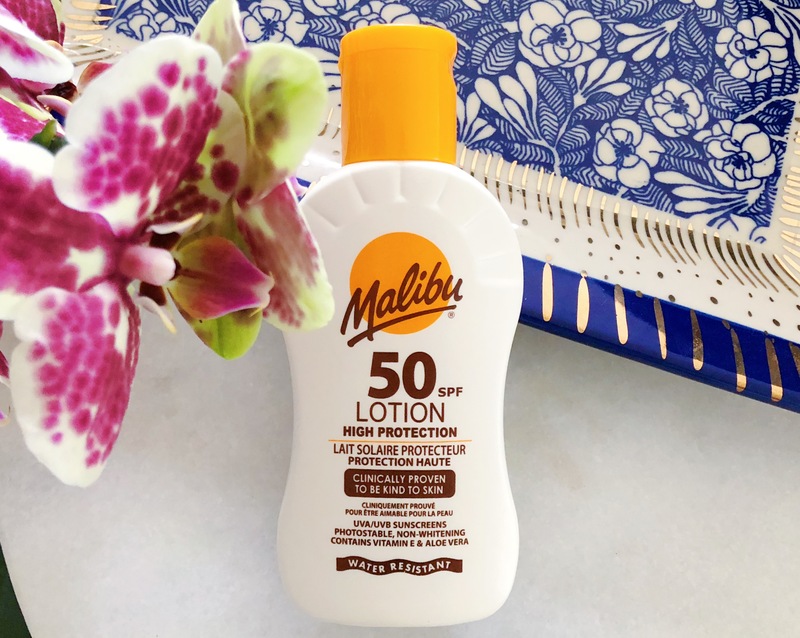 I mean, just look at the bottle! Doesn't it look like a wonderful bottle of rainbows, unicorns and happiness? As it turns out, the holo is quite weak in this polish. In fact, you can barely see a few flecks of the 3D rainbow. I have a hypothesis about this, and I swear that one day I'll get around to posting it. Brain Freeze however, is very black and highly pigmented. 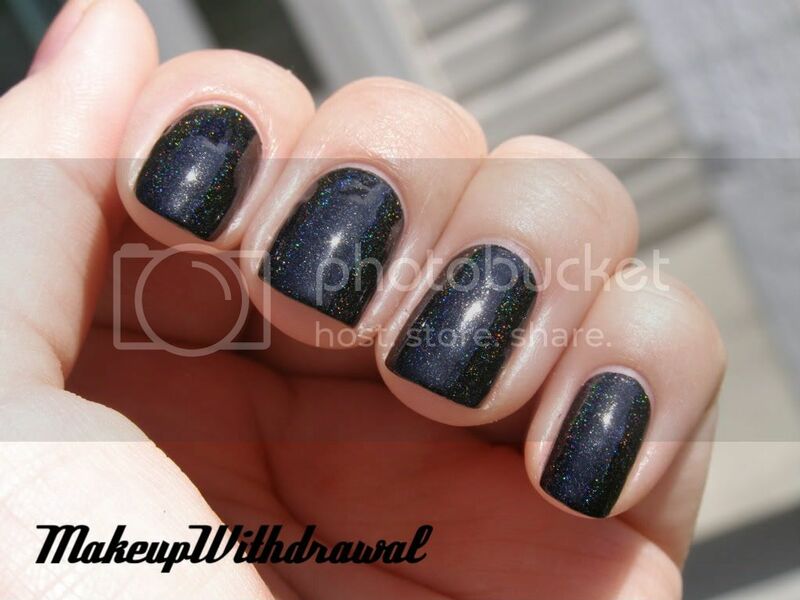 Also dries very glossy and does not skip when applied like holos are sometimes so inclined to do. It's a good thing that it dries so glossy by itself, because the addition of top coat weakens the holo even further, can you believe that? Indoors, this polish looks like a silver speckled black creme. Anyways, have a great night and hopefully a fantastic week! Product featured was given to me for free as a prize for winning a contest. For additional information, please refer to my Disclosure Policy.